OUTDOOR ADVENTURE. 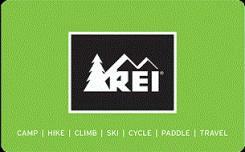 That's what REI is all about. We help people of all levels of experience and ability enjoy fresh-air pursuits by carrying the best selection of outdoor gear and clothing. Plus, we back it all up with our 100% satisfaction guarantee.